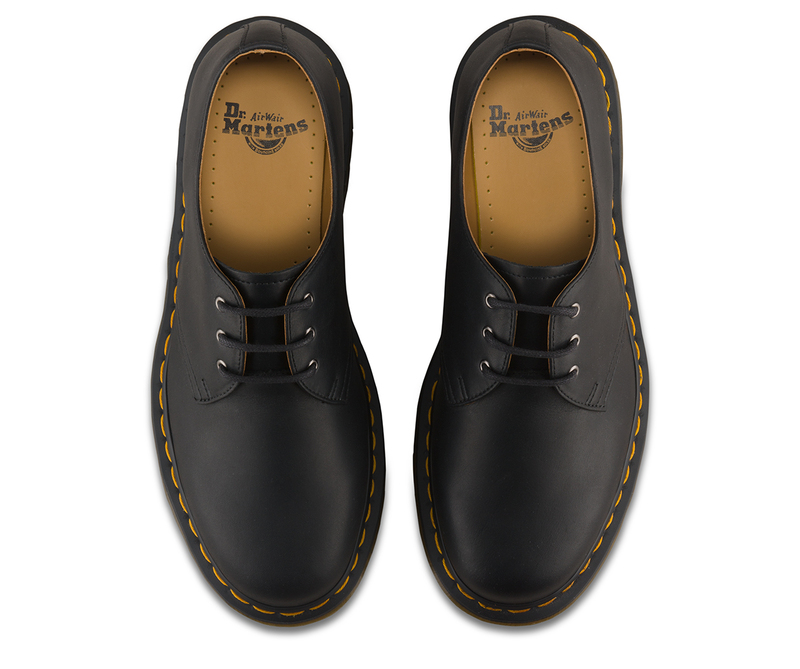 This is our original 3-eye shoe, with unmistakeable Docs DNA like grooved, air-cushioned soles and yellow welt stitching. 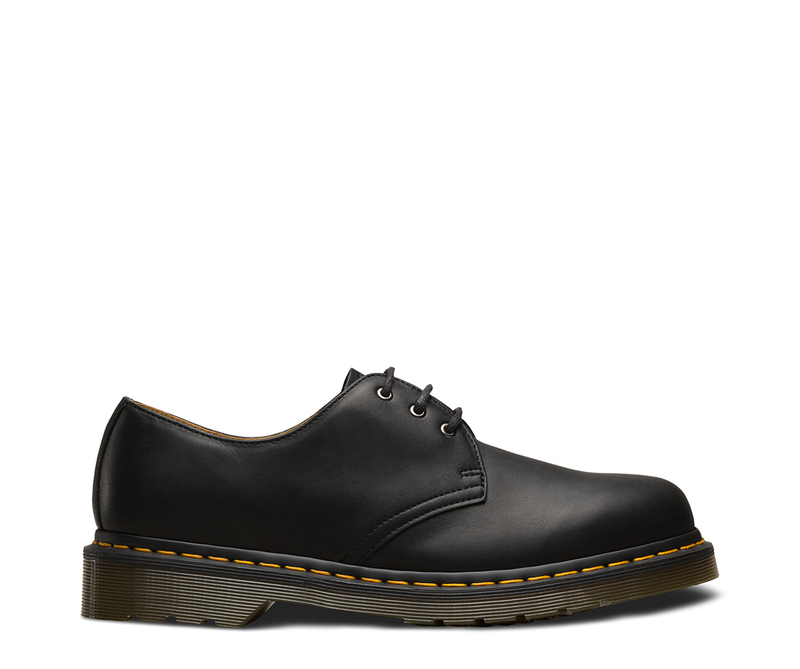 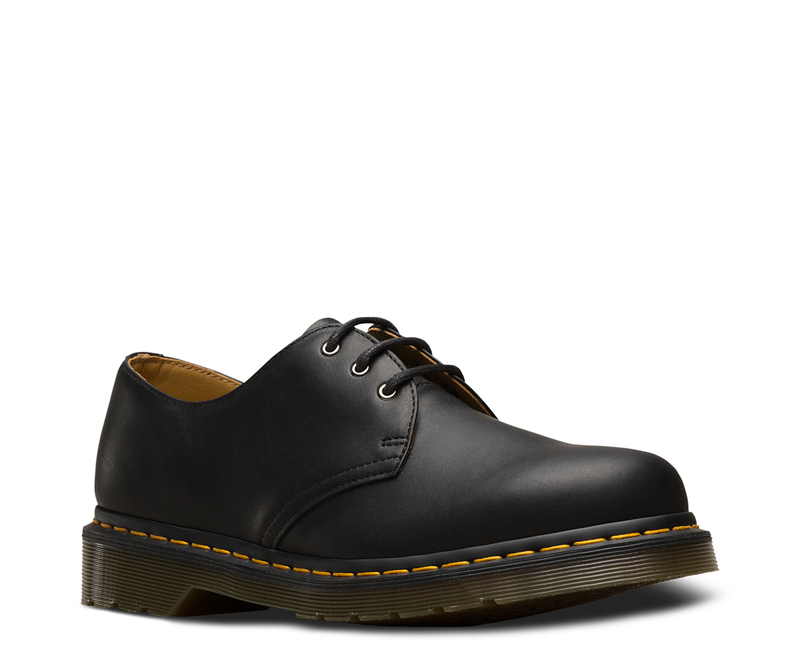 The second style that Dr. Martens made, the 1461 was crafted for industry, and made rebellious by generations of non-conformists. 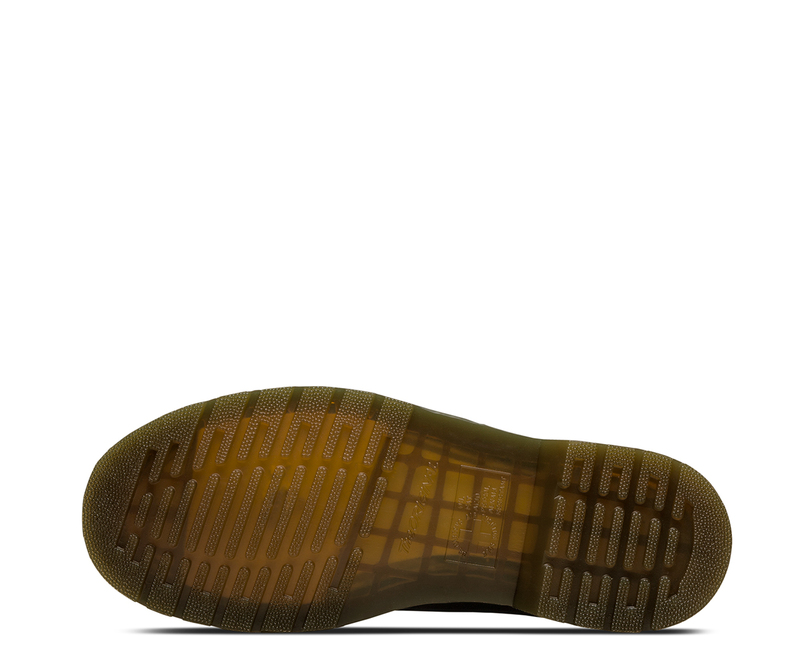 This version is made with an extra-durable, heavyweight leather called Hardlife. 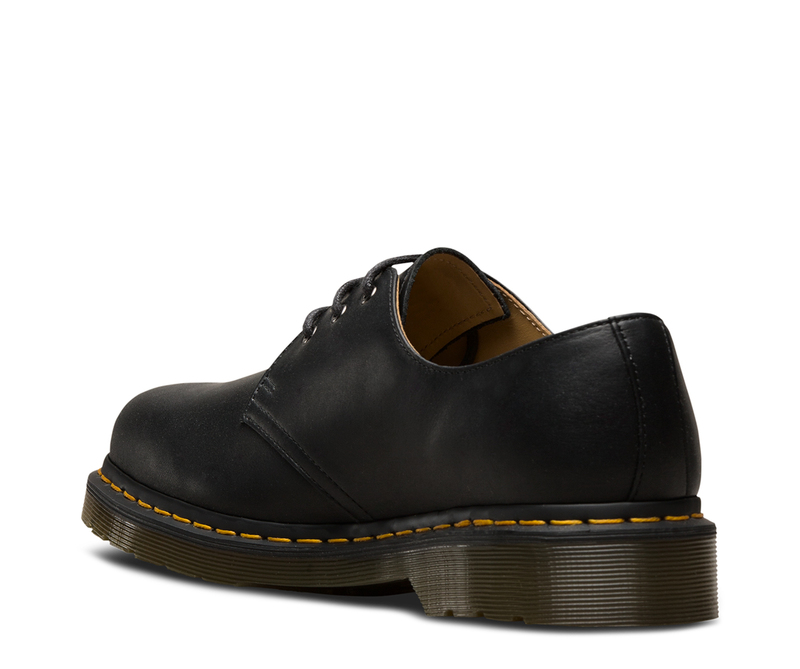 In the finishing stages, the tannery adds extra wax and grease to the hide, giving the leather a matte effect — and a super-long lifespan.